GUARANTEED END TO END SOLUTIONS FOR ALL YOUR COMMUNICATIONS NEEDS WHILE YOU ARE IN AFRICA. While you're at it, sign up for the Apollo Newsletter to receive exclusive sales, promotions, and updates. #1 Resource for all your Africa Satellite Phone needs. Discounted airtime rates for customers and organizations using Iridium satellite phones in or traveling to Africa. *This prepaid card can be used in Africa Only. The handsets we carry made by the world's top manufacturers and are perfect for Africa Satellite Communication. 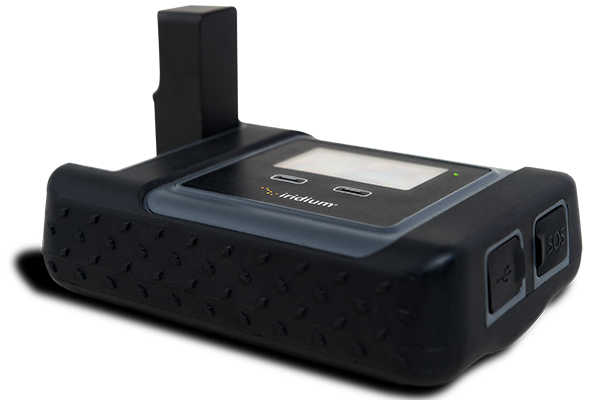 Inmarsat's flagship handheld was designed with client's in mind and fulfills their global communication needs. It is built rugged, runs on the world's most robust network, and makes staying connected very easy. With all this in mind it is perfect for Africa Satellite Communications. It is rugged enough for the African wilderness and operates on the world's most robust network so if you are in need for something to give you Africa Satellite Coverage then the IsatPhone 2 is for you! With Inmarsat's Network Services you can expect coverage even in the deepest parts of Africa. Their network is robust and also global with the exception of the polar regions of the planet so you can rest-assured that you will have coverage. With Inmarsat's Network it won't even matter what country of Africa you are visiting or even if you are off-shore; no matter what, you will be able to get connected. While shopping for an Africa Satellite Communication Device power must be considered since a device doesn't do anyone any good if you cannot keep it powered for long. Most satellite phones cannot hold up to the length of time that it can run on. Also, with third party external battery chargers at the ready you can have multiple batteries ready to go so you can keep your device powered as long as you need it. Most satellite phones need to be built rugged and when considering Africa Satellite Communication there is no exception. Imagine just starting your way off the grid in Africa and you drop your sat phone and it breaks and you have no choice but to go on without it. With the IsatPhone 2's rugged build you can drop it and even more and still pick it back up and keep communicating! Highly Discounted airtime rates for customers and organizations using Iridium satellite phones in the MENA region. Includes most countries in Africa plus 12 nautical miles into coastal waters. The Iridium GO! Satellite Hotspot has a built-in GPS receiver & emergency S.O.S. Button that let you know your exact location and text it to friends. You can program the Iridium GO! to leave a GPS bread crumb trail automatically. The GPS location reports are transmitted as SMS messages. The simple and compact iSavi terminal from Wideye brings personal connectivity to your smart devices – no matter where you go. The iSavi terminal connects to the Inmarsat IsatHub service, while creating its own WiFi network. Simply connect your smart phone or tablet to the iSavi WiFi and bring the power of the Inmarsat I-4 satellite network to your smart devices. When you think of Africa, what comes to mind? Do you think of African safaris with zebras and lions? Do you think of diamond and coal mines? Do you think of South Africa? Do you think of deserts and varied landscapes? No matter what comes to mind, you can be sure that Africa is like no other continent on earth. In fact, according to Interesting Facts, Africa has amazing things that make it unique. Well over 1,000 languages are spoken by the people of Africa. Some estimates put this number closer to 2,000. With so much going on in one continent, it is easy to see why anyone would go there for business, travel, or to live. However, Africa is a land of many faces. At about 11.7 million square miles long, Africa is the second largest continent on earth. In addition, it has the following geographical features. With so many reasons to visit, one can imagine how prepared someone must be when going to visit Africa for any reason. This is especially true when it comes to being able to communicate with those you traveled with while in Africa or those back home. Even though technology has made communication easier, as you can see from the facts on Africa and its topography, there are places where regular cell phones will fail due to extreme weather or no cellular towers. This can cost lives, especially if you are going there to visit wildlife, climb a mountain, do business in the diamond minds, do scientific research in a remote area, or are trying to get off the grid. In order to avoid the hazards of not having proper cellular coverage, it is wise to consider the use of a Africa satellite phone. Purchasing or renting a satellite phone for use in Africa will allow you to stay in constant contact with those you traveled with and those back home. That is because the phones use top of the line satellites to bounce signals off from all over the world. Satellites can handle more data and are more reliable than the average cell phone tower your regular phone uses. In fact, according to Vizocomsat, “Satellite communications are not dependent on terrestrial systems, but utilize a satellite orbiting the Earth. 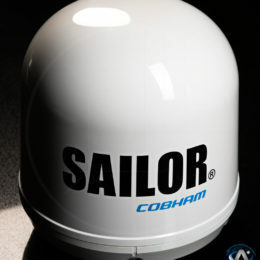 This allows satellite communication systems to receive a signal over a much wider area. A satellite device can connect anywhere as long as it is covered by the satellite beam.” This means you can get service anywhere, at anytime, in any weather conditions. Plus, you will still be able to use familiar features such as GPS. At Apollo SatCom, we have the latest technology and services to allow you to get the service you need. For example, we use industry leaders in satellite communication like Iridium, Inmarsat, and Thuraya. They have the most up to date satellites in orbit and technology on the ground to work with those satellites. When you go through us for your African satellite phone rental, you can rest assured you are working with the best and most reliable satellite technology companies in the world. One such plan that has all that you need to meet your needs when in Africa is the Iridium Africa 300 Min Prepaid Satellite Phone Card. This Iridium Africa Prepaid Service is for a year. The minutes roll over, and it comes with the following features. When using an Africa Satellite Internet provider, a plan like this is one is hard to beat for only $280 dollars. This plan has a coverage area that should meet your needs as you traverse Africa. You can use it in Algeria, Angola, Benin, Botswana, Burkina Faso, Burundi, Cameroon, Cape Verde, Central African Republic, Chad, Comoros, Democratic Republic of the Congo, Djibouti, Egypt, Equatorial Guinea, Eritrea, Ethiopia, Gabon, Gambia, Ghana, Guinea, Guinea-Bissau, Juan De Nova Island, Kenya, Lesotho, Madagascar, Malawi, Mali, Mauritania, Mauritius, Mayotte, Morocco, Mozambique, Namibia, Niger, Nigeria, Senegal, Sierra Leone, South Africa (including Prince Edward Islands), United Republic of Tanzania, Tunisia, Uganda, Zambia, Zimbabwe. You can see that this plan can meet your needs no matter where you go in Africa. And, the service plan is not all we offer. We are a one-stop-shop for your Africa satellite phone rentals. We offer the phones, accessories, hotspots, land terminals, services, and support. When you choose to purchase this time-tested and reliable technology with us, you are choosing to organize your ability to communicate. You can rest assured knowing you will have no communication issues or miss your smartphone with our plans and products. So, the next time you are planning on going to Africa to explore the untamed wild, view the majestic waterfalls, climb the biggest mountains, or see the biggest deserts, you can go knowing our phones and services will keep you in touch with those who matter. With this peace of mind, you can focus on the purpose of your visit and make it meaningful. Perhaps you will make the next big scientific breakthrough, capture the most amazing photos, broker the next big business deal, or just get away from it all with family. You can do this with no hassle or worries thanks to Apollo SatCom.